Summer internship helps students to learn more about their respective specialization field, more than mere theoretical knowledge. Undoubtedly, there is a big difference between learning about strategies and tactics in the classroom, and actually applying them. Thus, the internship is the platform to apply the earned knowledge and skills to work under the guidance of trained professionals. As students station themselves in the Company and their market, depending on their specialization and nature of internship project offered by the Company, they meet several professionals every day. It helps students to gain valuable professional network that might help them in future for job searches. It is also an opportunity for the students to expand their social network also. This reason often has a greater appeal amongst students who had been undergoing monotonous classroom activities for almost a year. Just before the Internship process, students in most of Business Schools are asked to opt for the specialization subjects. Choosing an MBA specialization can be very tricky and confusing for many students, as its a career decision regarding what your profile will be in the industry. Going into the field for a duration of a month or two is a great opportunity to evaluate that decision. It disperses myths and doubts one had related to the profile and helps the students to understand their option better. Working with the team of professionals helps develop better skills of professional use. Students are often asked to access ERP of the organization to collect data, they are also asked to generate reports, make use of spreadsheet tools like Excel or make presentations in Powerpoint. An internship job also helps the student to develop team spirit, self-confidence and creativity that adds as an essential career skill in the student’s personality. According to NACE (National Association of College and Employers) survey, new graduates who took part in an internship program are more likely to get the job offers than those who didn’t have an internship program. Let’s understand what a pre-placement job opportunity is. 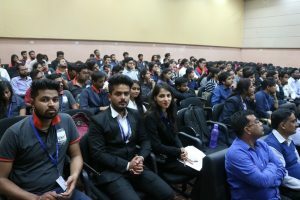 When an organization is highly impressed with the performance of a student intern, they often offer a job to the student in return to their efforts and this is called pre-placement job opportunity in B-school terms. The best part of PPO is that the student has a boosted morale and self-confidence during the remaining part of the MBA course as he or she is “already placed”. Your internship supervisor assesses your skills in action at the organization and is often in a situation to help you with the right guidance for future job opportunities. Other individuals in the organization with whom the student works closely can also serve as references or provide the student with the recommendation to organizations they are in touch with. Summer internship the first moment of introduction to the world of jobs and makes the student learn about the do’s and dont’s of the workplace. Though not counted as a job experience, the internship does serve the purpose of practicing the first work experience by giving so much to add-on to the budding career profile of the students. Wishing every student a great learning moment at Summer Internships!